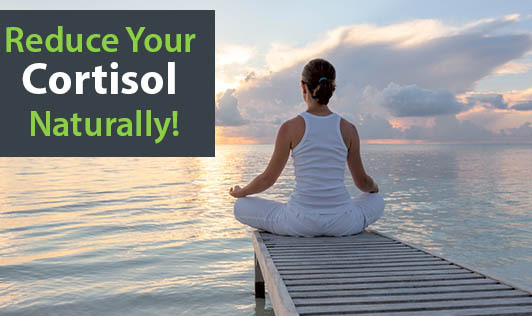 Cortisol is a stress induced hormone that is released by the adrenal gland. Elevated cortisol levels interfere with memory and learning, lower immune function, bone density, increase weight, cholesterol, blood pressure and heart disease and so on. Cortisol is naturally secreted in the body on a schedule throughout the day and hits the peak at about 8AM, signalling your body that it's time to get out of bed and start your day. Throughout the day, cortisol levels tend to drop and reach their lowest level at about 8-10PM, to get the body ready for restorative sleep. The cortisol rhythm is generally disrupted by chronic stress, both physical and mental, and can hamper one's ability to fall asleep or even stay asleep. • Eat right and include plenty of vegetables and fruits. • Use stress reduction techniques such as meditation or simply lie down for about 20 minutes whenever you feel weighed down. • Eat at regular intervals throughout the day as skipping meals will create a cortisol release. • Stay away from stimulants such as energy drinks that contain ephedra-like compounds and caffeine as it can disrupt your sleeping patterns. • Laugh more as it reduces cortisol. • Listening to music also reduces your cortisol levels. • Go to bed on time. So, the next time you feel overwhelmed, implement the tips given above and stay relaxed!